My baking and cooking comes from my Mom no question. In my eyes she is a Domestic Goddess. She is the person responsible for me wanting to cook and bake from scratch..... that is when I am not being lazy. 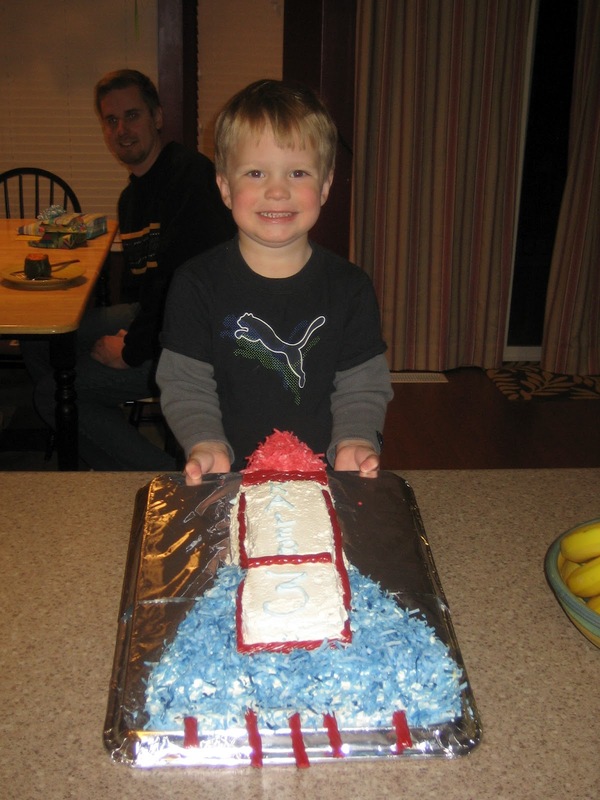 I also remember this cake she made me one year. I absolutely loved it, thought it was so cool. 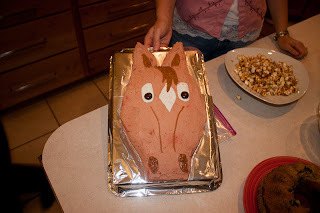 She also made a few more of the these cut-up cakes for some of my other siblings. So when I had my son I was determined to make a cute cut up cakes for him. The first two years I just kinda made them up and then I called my Mom and asked for the name of the book she had. It was called Baker's Cut-Up Cake Party Book. She said she thought she got if free once for buying Baker's Coconut. In the book they use coconut to decorate the cakes. 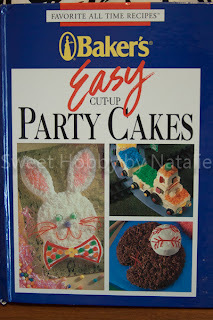 I went to the Internet searching for this book and I found two thank goodness to E-bay. 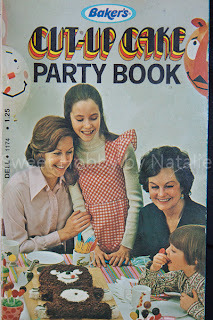 This was the original printed in 1973 and this is the one my Mom kept in a draw in the Kitchen. 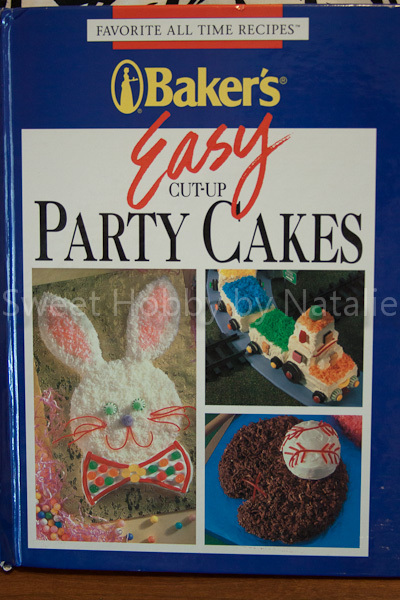 I remember looking through it at all the cake designs thinking they were awesome. I also found this one printed in 1993 a little more updated and with some different designs. 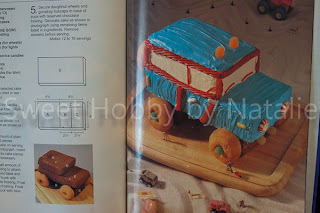 Inside they have cake recipe's, icing recipe's, and directions on how to make the cake like this one called Monster Truck and I think it looks like a Jeep which was the inspiration for the cake I made my friend last week and I blog about it next. 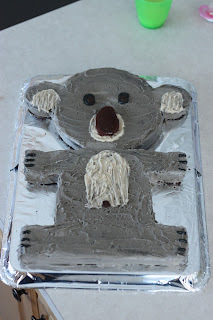 I still make these cakes today although I usually don't do the whole coconut look and have tried one using fondant and it was a success. 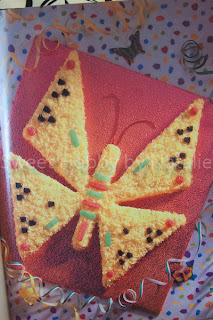 Here are some pics of a few the birthday cakes I have made for my children that have been inspired and then tweaked from this book, they are pretty rough looking but my skills are getting better. So fun. I just saw this. So totally nostalgic.